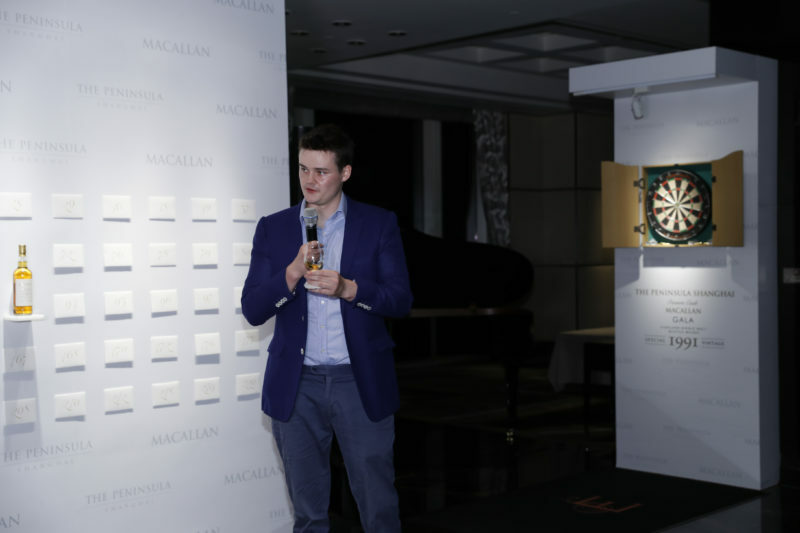 Just last month, we were delighted to attend, and speak at, a very special event at The Peninsula Shanghai, to mark the launch of the hotel’s very own signature whisky, a vintage 1991 Macallan. 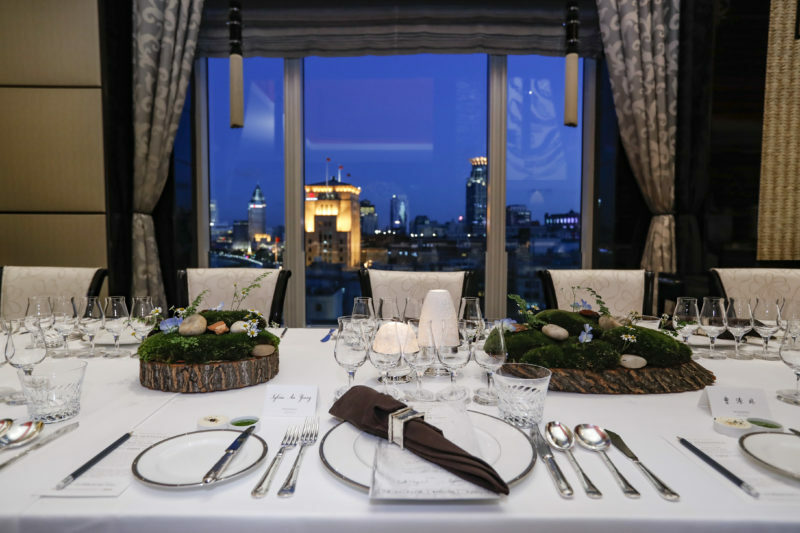 It was a wonderful evening, and a landmark for The Peninsula Shanghai, but also significant for Cask 88 – as the culmination of a project we have been working on for a number of years. 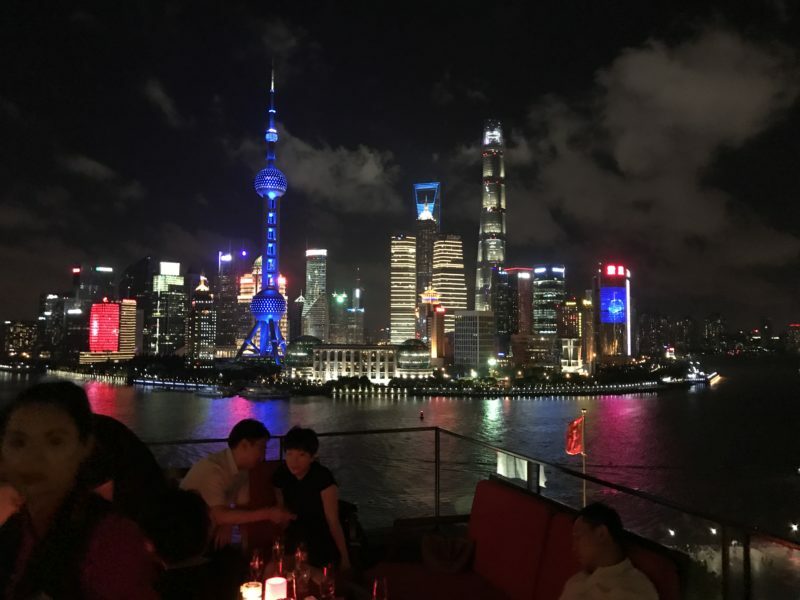 The invite-only event saw members of the elite of Chinese society and the most ardent fans of old and rare whisky side by side, representing almost every facet of Chinese industry and commerce. At the head of the room, a wall, covered with numbered envelopes, dominated. 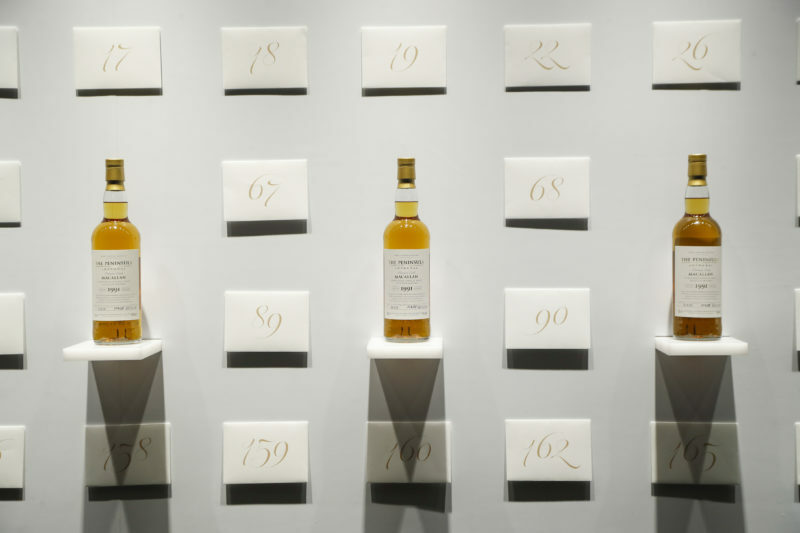 Amongst them stood five bottles of this incredible Macallan whisky, accompanied by a dartboard. The bottles were sold individually and clients could choose the bottle number they wanted. If a situation arose where a number was chosen twice then the issue could be resolved with a competitive game of darts. The highest score got to keep the bottle number the wanted and ultimate bragging rights for winning it. 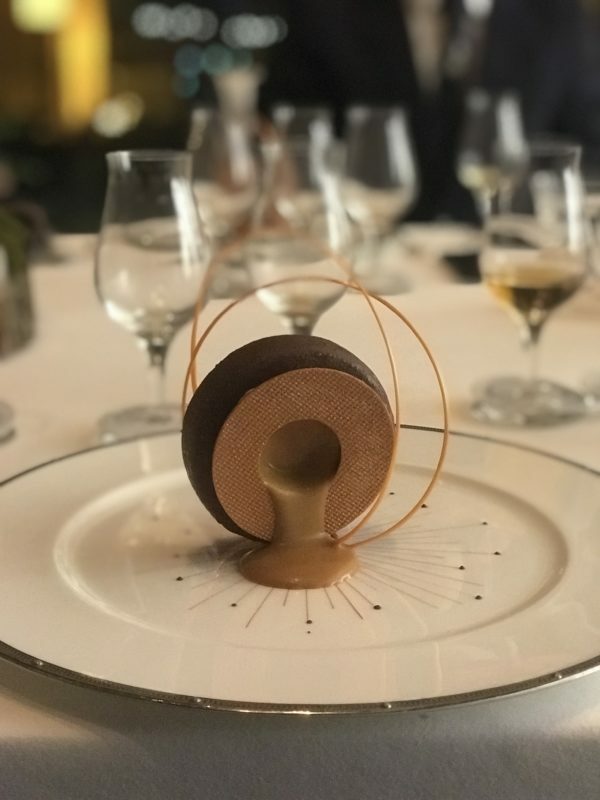 Guests were welcome to enjoy everything that they have come to expect from this luxury resort, from the beautifully set tables to the five-course meal that would delight even the most discerning diner. This wonderful evening was the latest instalment in a project that has taken over two years to complete. 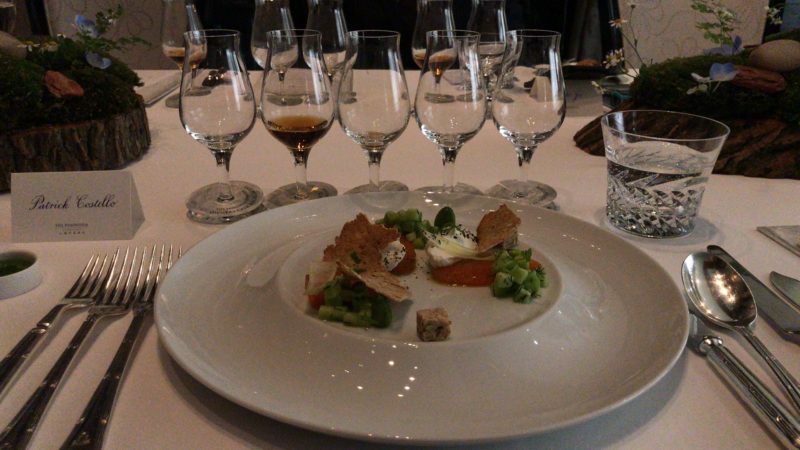 It began with a very special trip to Scotland with the Peninsula’s owners and their Food & Beverages team. 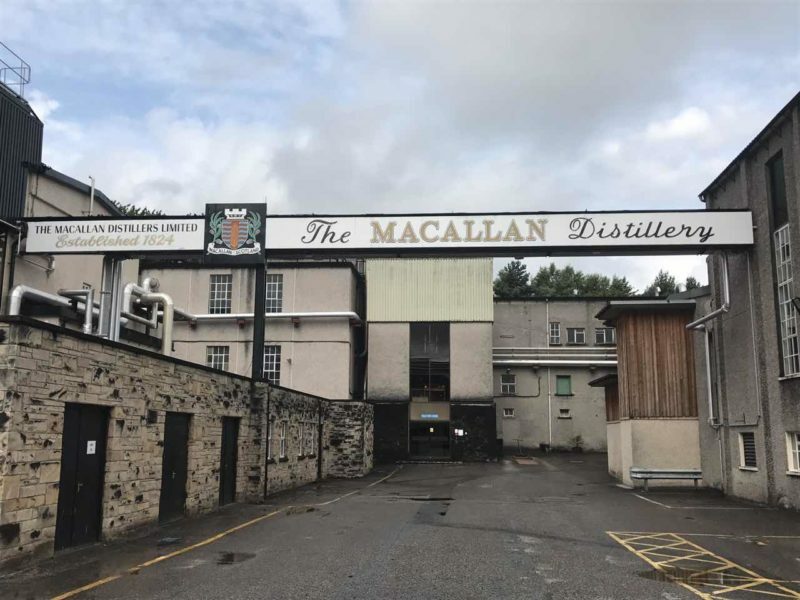 As part of a taste tour to the prestigious Macallan Distillery in the heart of Scotland, the team tasted and reviewed a number of different vintages before agreeing on their chosen cask. 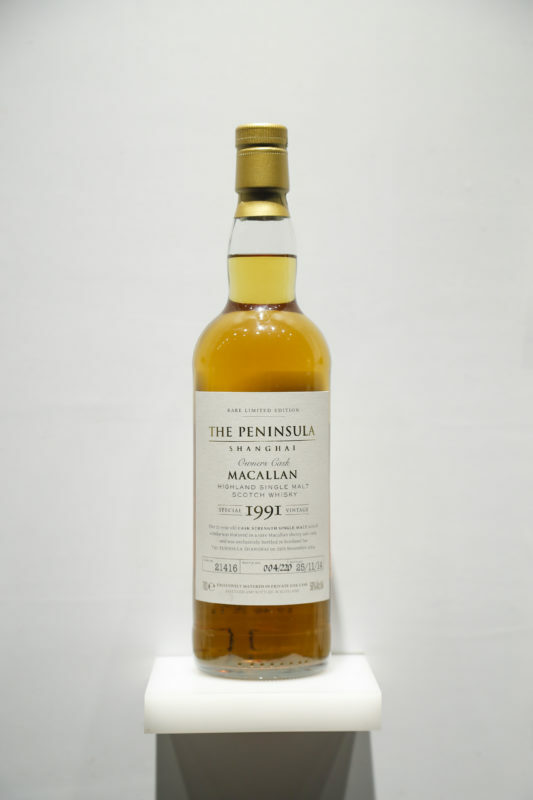 This cask would go on to become the hotel’s signature whisky, along with unique bottle design and branding. 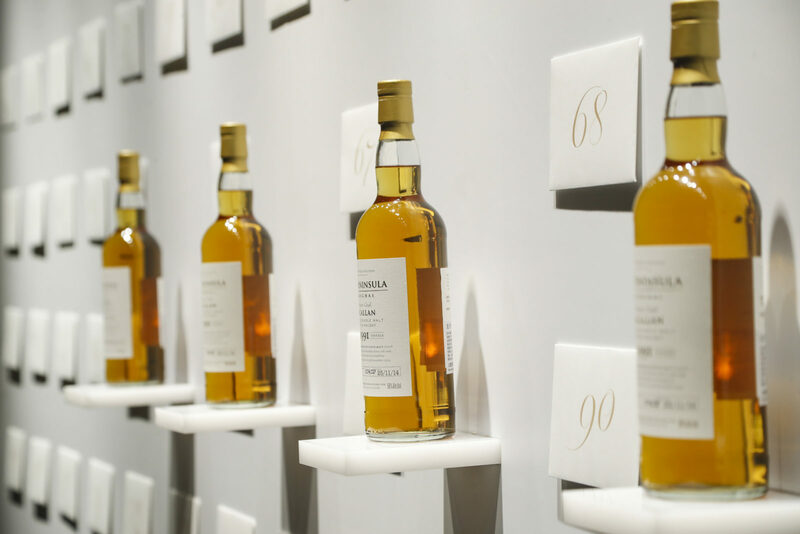 Cask 88 managed the entire process, from purchase and maintenance of the cask, through to bottling and labelling the final whisky product. 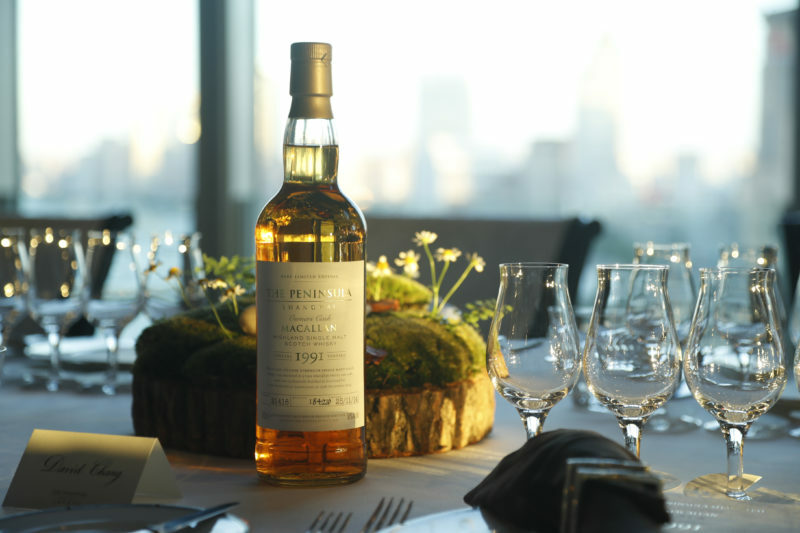 Our dedicated design team worked closely with the team at Peninsula Shanghai to create the label and the bottle, ensuring the final design reflected the Peninsula core brand identity while aiming to showcase the incredible whisky that it housed. Every aspect, from shipping to bottling, was meticulously managed, to upload the Cask 88 commitment to providing end to end care for all our clients’ needs. 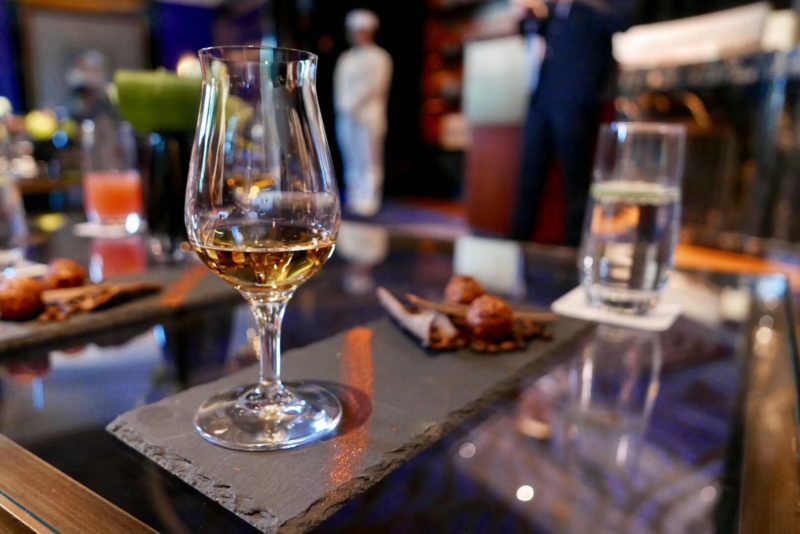 Want to create your very own signature drink? 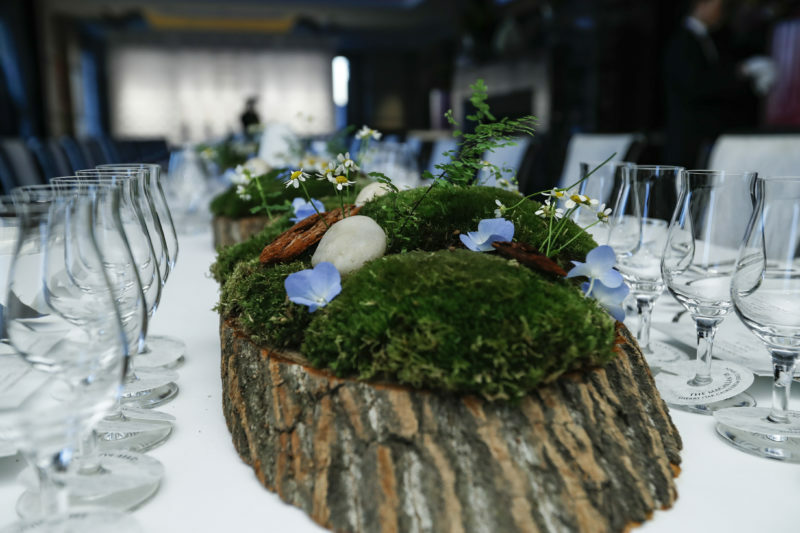 If you would like to know more about the process and benefits of creating your very own whisky, check out this blog or contact us today and we would be more than happy to talk through your requirements. This entry was posted in Own Brand Whisky, Whisky Distilleries. Bookmark the permalink.